Understanding Parkinson’s is a free openly licensed online course developed by OEPS in partnership with Parkinson’s UK. The course is aimed at front line health and social care staff, many of whom will be working in the residential care sector. 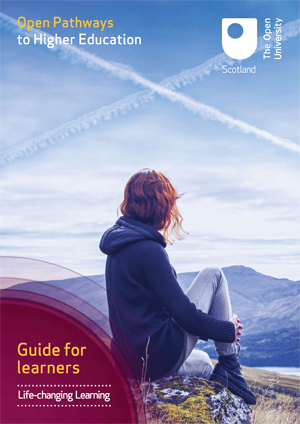 We are currently analysing data from an evaluation of the experience of a pilot group based in the Western Isles and distributed across a number of workplaces and community settings. In an extended discussion of some of the preliminary findings of the evaluation, Ronald Macintyre from the OEPS team notes how combining qualitative evidence from personal experience with analytic data provides for a richer picture of the learner journey and sheds light on issues which are not accessible through analytics alone. 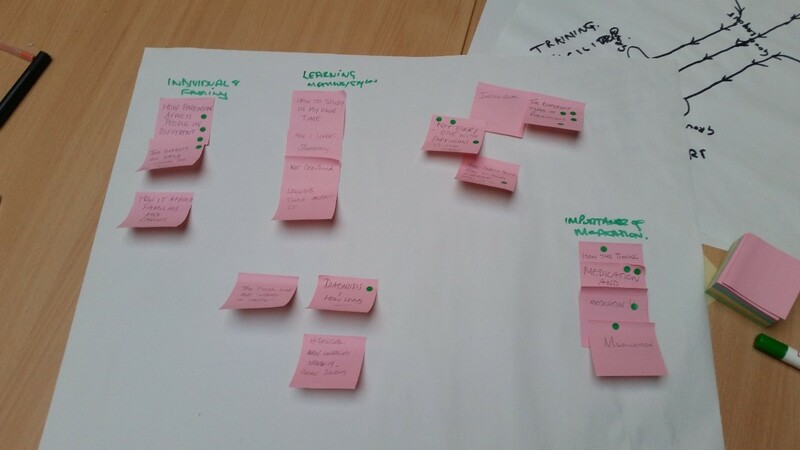 A short case study about how Understanding Parkinson’s was created can be found on the OEPS hub at Building an OER in partnership – Understanding Parkinson’s. 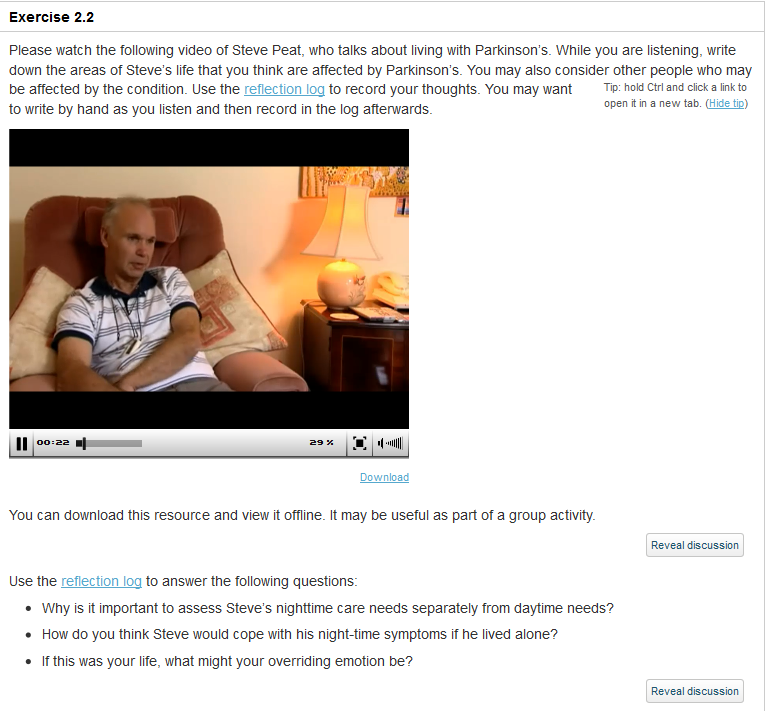 You can view the video featured in figure 1 at What is the impact of Parkinson’s on people’s daily life?